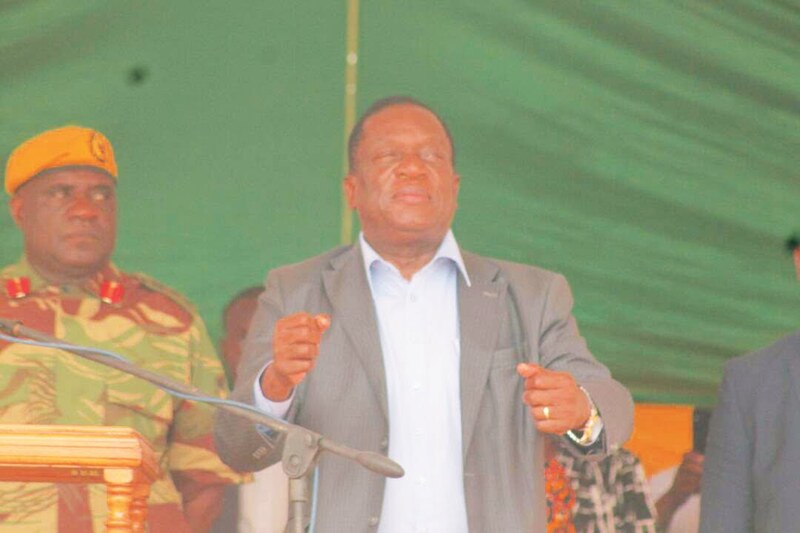 ZVISHAVANE - A well-known spirit medium of the Shumba Murambwi people has said the rise of President Emmerson Mnangagwa had the blessing of Mbuya Nehanda and Sekuru Kaguvi ancestral spirits. Speaking at the burial of the late Chief Mapanzure (Albert Chimhofu) in Zvishavane rural recently, Solomon Noah Shumbira a traditionalist, popularly known as Tenzi Nehoreka said Mnangagwa's rule was steeped in the spiritual realm. "In November last year, Nehanda and Kaguvi approved Robert Mugabe's removal. They said Robert Mugabe and Grace were the reason why the country's economy was failing. They were not happy with the way they (Robert and Grace) were treating those who liberated the country from the white colonialists. "Emmerson Dambudzo Mnangagwa rose after his humiliation and dismissal from Zanu PF by Grace Mugabe," said Nehoreka. He said it was Mnangagwa's 'good behaviour' which had earned him the blessings of ancestral spirits, culminating in his rise to the presidency which had been occupied by Mugabe for close to four decades. "It was ED's humility and courage that pleased Mbuya Nehanda and Sekuru Kaguvi. I had long foreseen that ED was going to be the successor," Nehoreka said. When the country and much of the world experienced a total lunar eclipse on July 28, it was a sign of the beginning of a new era, according to Nehoreka. "The moon turned red symbolising the beginning of a new era. Nehanda appeared to me and told me that Emmerson Dambudzo Mnangagwa was leading the country to greener pastures," he said. He also added that spiritual beings played a crucial role in the liberation struggle by saving lives of the leadership.